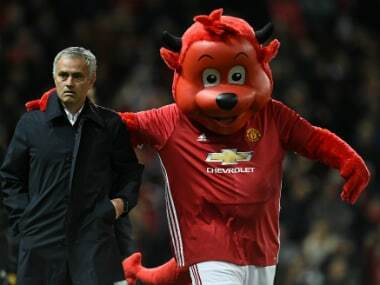 London: Jose Mourinho believes Manchester United's derby victory over Manchester City can inject fresh life into his team's spluttering Premier League title challenge. Mourinho's side bounced back from a miserable 4-0 thrashing at Chelsea by defeating arch rivals City in the League Cup on Wednesday and the United boss hopes the momentum carries over into Saturday's meeting with Burnley. 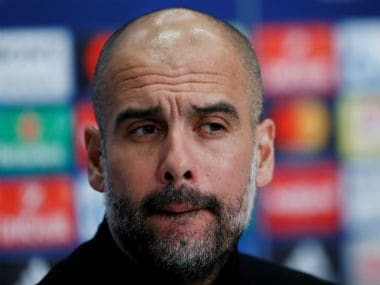 Seeing off City, who had already beaten United in the league this season, was a welcome boost for Mourinho following his side's spluttering start to the season, but he knows they can't afford another to slip back into bad habits with table-toppers City already six points ahead. "After the defeat, we had to play Man City two days after and because of that defeat, the match became more than just a normal cup match," Mourinho said ahead of the Old Trafford clash. "It was more because it was City but it was much more because two days before we had such a bad defeat. "Sometimes people react to bad defeats in a negative way and you go into a bad run of results. "But in this case, the boys managed to find that extra effort and extra competitive mentality to play that game because it means more than just a game. "It was very important for the players to win it and to give back to the fans." Pep Guardiola takes City to West Bromwich Albion on Saturday still trying to figure out how to lift the club out of their autumn downturn. 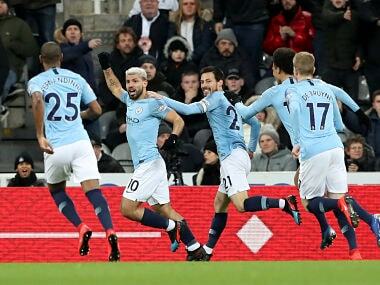 Scintillating over the season's early weeks, which saw them win their first 10 games, they have now gone six matches without victory, culminating in Wednesday's defeat at United. While they remain top of the league table on goal difference, City's swashbuckling form has petered out and left-back Gael Clichy hopes their luck changes soon. "We gave everything and at the moment we are not getting what we deserve," the France international told the City website. "Lately, the results and the points are not on board. We have to keep working and we're sure we're going to get there. "If we are a bit more clinical playing forward and more compact as a team, maybe we can do better." United go into the weekend in seventh place, but they are better off than defending champions Leicester, who sit three points below them in 12th place with just three wins from their opening nine games. On Saturday Claudio Ranieri's side travel to Tottenham, who threatened to pip them in last season's title race. Mauricio Pochettino's men are a point off top spot and Ranieri has braced his players for a battle. "Spurs are the only unbeaten team in the Premier League because they have a very good squad. They can change and rotate," said the Italian. "Tottenham are a fantastic team. Last year they were very close to us and will continue to fight for the title." A late slump saw Tottenham pipped to second place by their North London rivals Arsenal, whose early-season form suggests they could be poised to go one better this term. A six-game winning run came to an end in last weekend's 0-0 draw with Middlesbrough, but Arsene Wenger's team beat Reading in the League Cup in mid-week and now face a Sunderland side rooted to the base of the table. "I think the spirit is really good in the team," said midfielder Alex Oxlade-Chamberlain, who scored both goals in the 2-0 win over Reading. "Even when we drew with Middlesbrough on the weekend, it was almost like we lost the game. It shows how hungry this team are to win. "We're in a spell where we feel like we should be winning every game and we can win every game, so that's a good thing." Liverpool, third behind City and Arsenal on goal difference, visit Crystal Palace, while fourth placed Chelsea, dumped out of the League Cup by West Ham on Wednesday, travel to Southampton.